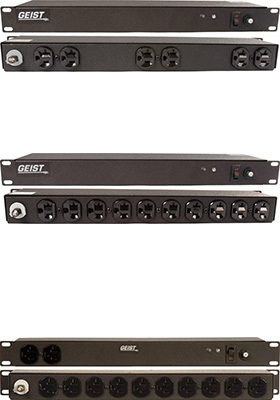 Geist's basic PDUs offer reliable power distribution to the cabinet to help manage power capacity and increase functionality. BR100-1020 functions as a basic power strip without built-in surge protection. This unit is ideal for installations in facilities with proper surge protection at the main electrical service entrance. Use Geist PDU finder to find the PDUs that match your requirements, then lookup the model number(s) on KVMGalore.com.